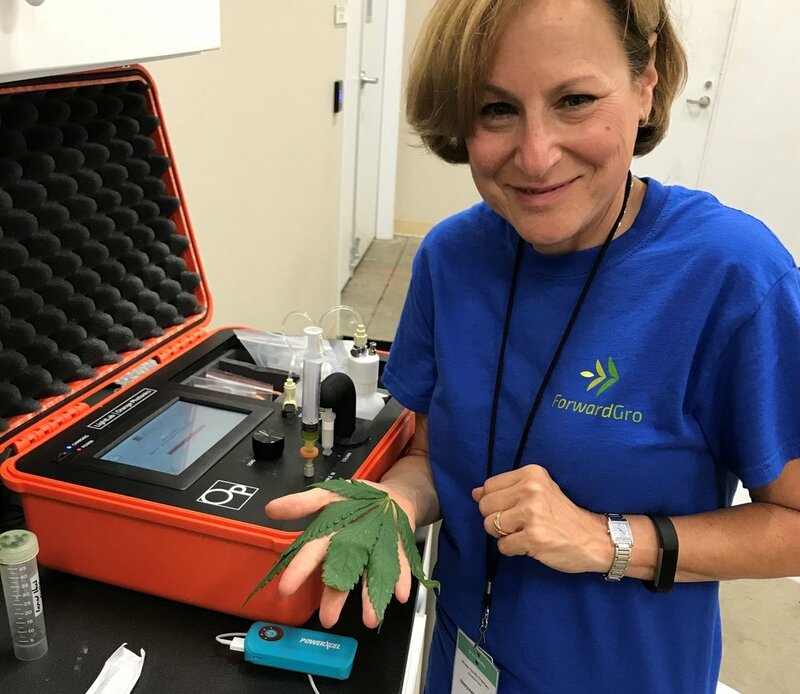 ForwardGro's Medical Director, Deb Kimless, MD, running a wet leaf sample on LightLab. Look for ForwardGro on social media to learn about their cutting-edge operation. LightLab is shipped to you fully calibrated and ready to run. The only maintenance the user must manage is the easy task of replacing the Selective Separation Column every 25 tests. Since LightLab solvents are alcohol-based, there is no cleaning or flushing required- LightLab takes care of that for you. After your LightLab has run 1000 samples, or after one year, it requires calibration, which takes place at Orange Photonics. Like lab-based liquid chromatography instrumentation, LightLab uses solvent to extract the cannabinoids from the sample. The same LightLab Extraction Solvent is also used as a carrier solution (mobile phase). LightLab Flower or Concentrate Test Kits include everything you need to run a sample in one economical package that includes vials, syringes, solvents, filters and Selective Separation Columns. Cost per test varies depending on the volume of tests required, but typically fall in the $3-5 price range. Your LightLab Cannabis Analyzer comes with a standard one-year factory warranty. An extended 2-year warranty option with calibration service is available.